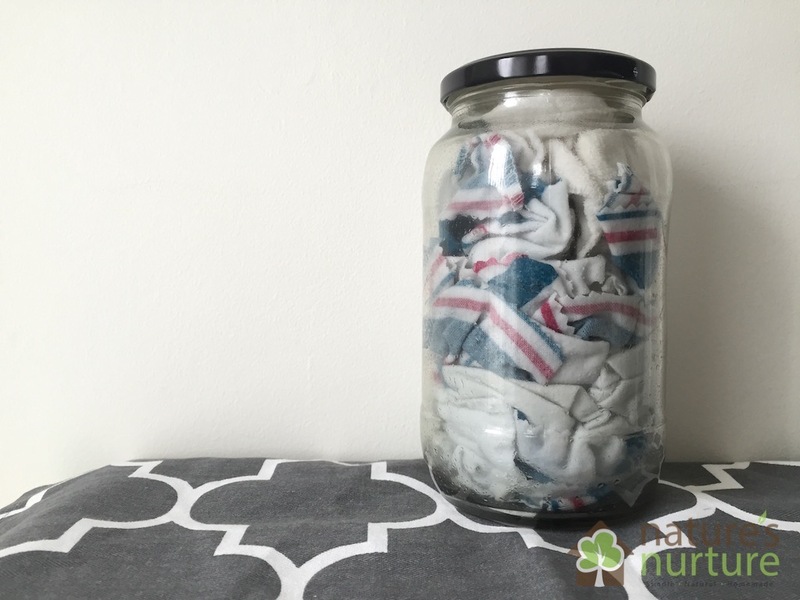 The most popular post ever published on Nature’s Nurture is my Homemade Floor Cleaner – and for good reason! 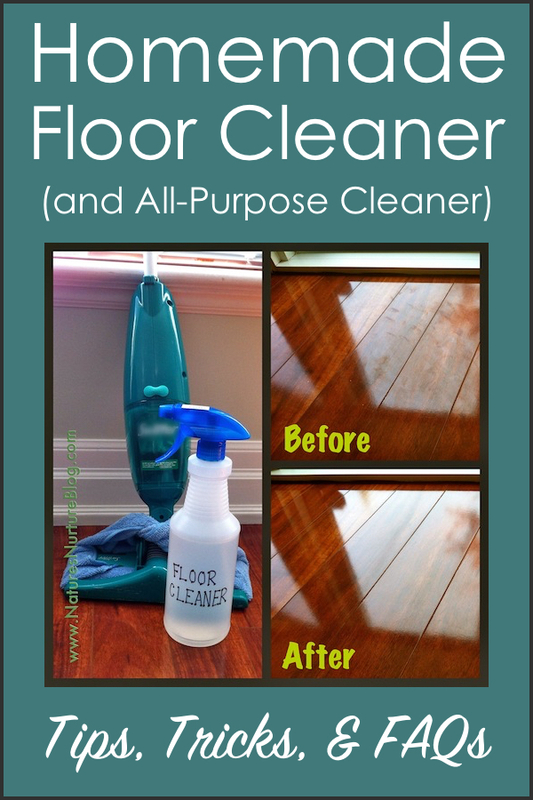 This cleaner totally rocks, and I use it to clean way more than just my floors. It’s also the post that brings in then most emails and comments from readers just like you. 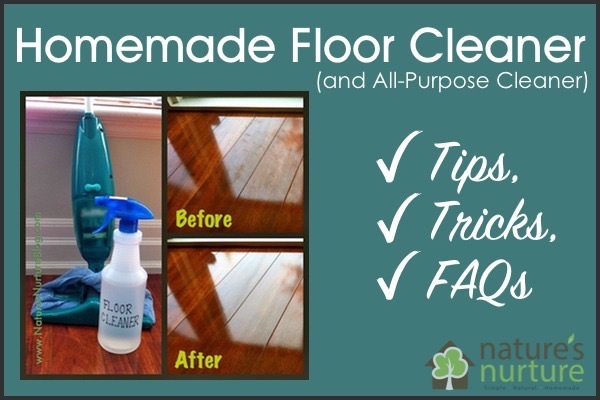 I created this homemade floor cleaner question and answer to respond to some of the most frequently asked questions and comments I’ve received over the years. So let’s go! This is by far the most commonly discussed topic from the post, which is why I’m addressing it first. 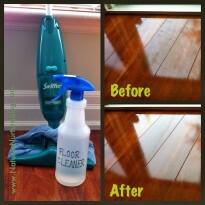 When I originally posted the homemade floor cleaner I had only used it on my laminate floors and tile. But here’s where things get tricky and a little confusing. From what I’ve read (including numerous comments on the original post), this cleaner shouldn’t be used on real hardwood floors. Depending on who you listen to, some folks say the vinegar is too acidic and can break down and strip the protective finish (I think the problem might be the vinegar:water ratio). Others say it’s the alcohol that can degrade the finish. And yet others blame the few drops of dish soap. I’ve also read that if you have waxed hardwood floors, the vinegar will definitely remove the wax. That being said, some people have chosen to use it on their finished hardwood floors and swear by it. Last year we moved into a new place with engineered hardwood floors, and I’ve been using this floor cleaner on them with no problem. So, long story short: you’ll have to make a judgment call on this one. I can’t tell you whether or not to use this on your floors, but I can tell you to do some spot testing and possibly alter the recipe to play around with the ratios a bit. For a great list of hardwood floor cleaners, check out this post from TipNut, including 6 different recipes to try, one of which is made with a strong brewed tea! 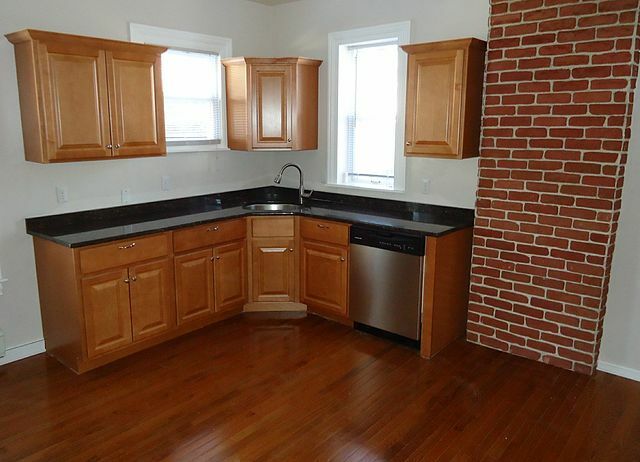 What about unfinished hardwood floors? I would definitely NOT use this on unfinished hardwood because it’s very sensitive to excess moisture. Follow this link for an explanation on how to clean unfinished floors. Will this cleaner warp the edges of my laminate floors? Because of the way this cleaner is used, the floor never really gets “wet” since it gets wiped (and dried) right away. As long as you use a fine mist and wipe it up afterwards, the cleaner won’t have a chance to really penetrate and do any damage. Will this cleaner shine my floors? No, this cleaner is meant to clean, but not shine your floors. A few people mentioned how shiny my floors looked in the photo from my original post, but I’ve clarified that this cleaner will not shine your floors. The photos I took at the time were from a very low-traffic area in the house (it was the only place with good lighting for pictures), and our laminate floors already had a shiny look to begin with. Can the recipe be adapted for a mop and bucket? 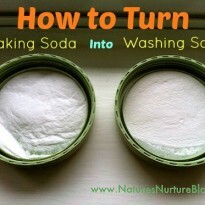 For a gallon of water, add 1/2 cup of vinegar, and 1/3 cup of alcohol, plus a few drops of dish soap. The base of the recipe (water, alcohol, vinegar) is perfectly fine for use around pets, but there is concern that essential oils may be harmful if ingested by pets, especially cats. Can this work on other surfaces besides floors? YES! 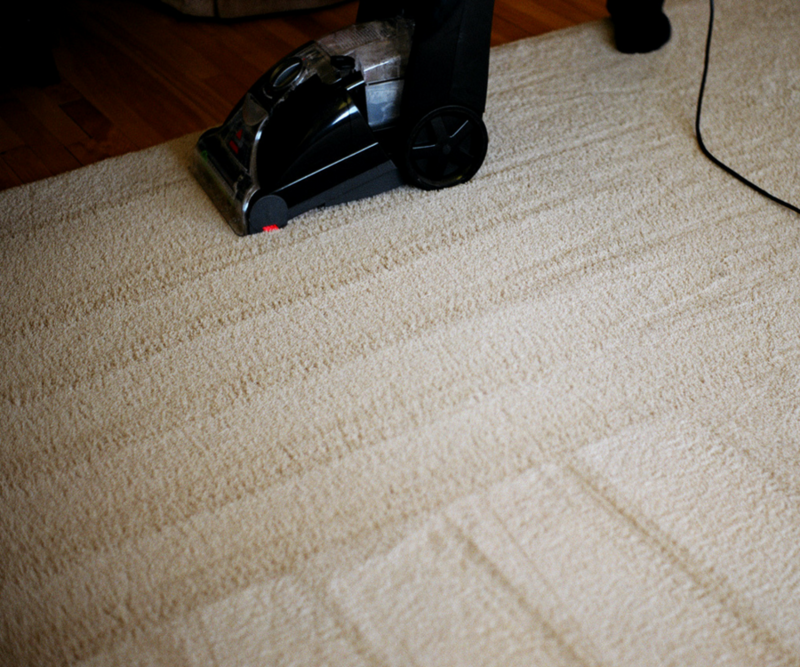 That’s the best part about this wonderful cleaner – it works on practically every surface around the house! In my original post, I lovingly referred to this as the Ultimate All-Purpose Cleaner, and it really lives up to that name. 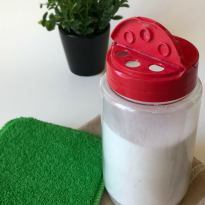 I’ve gotten rid of every single cleaner that I used to use before discovering this miracle cleaner. I’m sure there are more that I’m forgetting! What is the best way to use this all-purpose cleaner? ALWAYS use a microfiber cloth to wipe the surface you’re cleaning to get a good scrub and a streak-free clean. 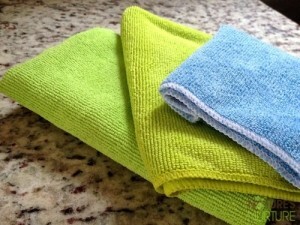 Read more about why I love and recommend microfiber here. When using this as a floor cleaner, make it easier on yourself and invest in one of the following refillable microfiber mops. 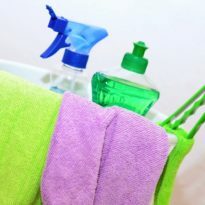 You can fill up the container with this homemade cleaner, then just spray and mop to your heart’s content! Swiffer WetJet Spray Mop – If you already have a WetJet, you can remove the cleaner bottle and refill it with your cleaner of choice! Here’s a great Instructables tutorial that shows you exactly how to do it. No, you can most definitely use this recipe without adding the essential oils. The oils do give a nice scent, and they also provide some extra disinfecting power. If you don’t have the essential oils on hand, go ahead and make up the recipe, but you will absolutely notice a difference (at least in the scent) when you do add the oils. I get my essential oils from Plant Therapy or Mountain Rose Herbs (affiliate links). Alright, I’ve tried the essential oils, and I still can’t get over that vinegar smell! Simply add some orange or lemon peels to a jar, then top off with vinegar. Store in a cupboard, and give the jar a good shake every few days. After 2 weeks just strain it and use that vinegar in this recipe – it will smell amazing! I used this cleaner on my wood floors, and it left a white film on the floors. Help! This is a common issue if you do choose to use this cleaner on your hardwoods. The problem is not so much from the homemade solution, but from the commercial cleaners that may have previously been used on your floors. The vinegar in the homemade solution will react to the ingredients in the commercial cleaners (waxes, oils, etc. ), and leave a film or streaks. Another issue that might be causing the white film or “cloudiness” on your floors may be the minerals in your hard water. If you have hard water, make sure you’re using distilled water in this homemade cleaner. What about heating the solution? 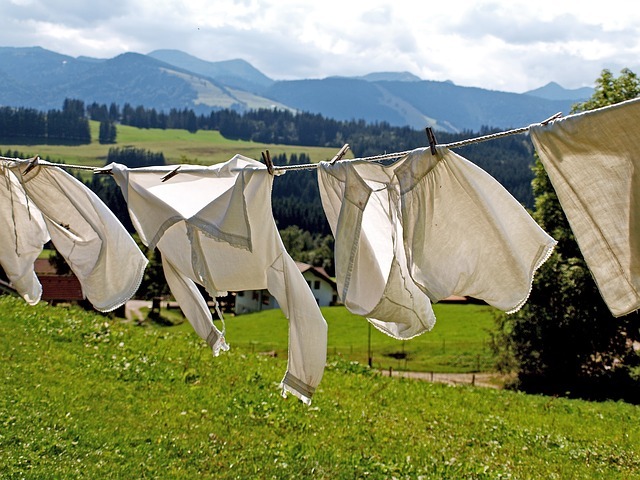 Never use fabric softeners or dryer sheets when washing your microfiber cloths because they’ll affect their ability to absorb liquids properly. I don’t use either of these products on any of our laundry anyways; instead, I just use some vinegar in the rinse cycle to keep our laundry fresh and soft. And that’s all we have for now! I hope this Q&A post has helped to answer some of your questions, and don’t forget to check the original post for the full recipe and details! Have you tried this homemade floor cleaner? 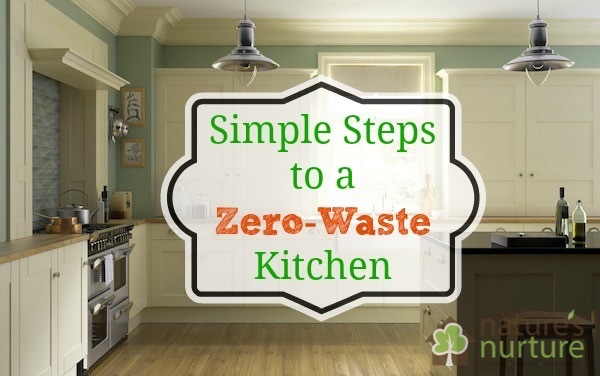 What other tips can you offer for using it around the home? What about the use of Borax powder? Also, if people complain about the smell of vinegar, I would recommend using the “cleaning vinegar” available in grocery stores versus regular bottles of hard distilled vinegar. 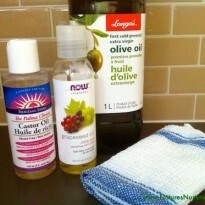 The cleaning version of vinegar is much softer, with little smell and I would think it would be great for cleaning. I use it to clean my sleep apnea equipment on a weekly basis. So try suggesting that. I don’t know because I haven’t tried these homemade version cleaners but intend to now that I’ve read so much about them. They are all similar. The question I have though which no one seems to address is about rinsing the floor after using the solution. I mean, it has soap in it, don’t you have to do another mop rinse with just plain water? No one even mentions this. Thanks for the tip on cleaning vinegar! I don’t know why I never thought of that, I think I figured it would be an even stronger smell. Def going to pick up a gallon next time. As for the soap in the solution, you’re adding literally a few drops of soap to 2 cups of liquid, so the amount of soap is small enough that you don’t need a rinse. Is this all-purpose cleaner considered to be antibacterial or a disinfectant? Great question, Jessica! The vinegar and alcohol are both considered disinfectants for sure. You can find more info on each ingredient in the original post here. Yes! For the shower door, I wet it with water, then spray it down with this cleaner. Then on the sponge you’re using to scrub the door, sprinkle some baking soda on the sponge, and a squirt of soap to help speed up the scrubbing process. I would recommend that you specify the type of alcohol in the recipe. I had the exact same question because there are many different types of “alcohol,” including vodka, beer, rubbing alcohol, etc. Thanks, Alison! I’ve gone ahead and added that in. Isn’t this good with dr bronners Castile soap? And if yes, is it good to add more than just a couple drops? Yep, that’s what I use! Honestly, it’s more like half a squirt of soap. You just don’t want to add too much because you’re not rinsing this away afterwards. 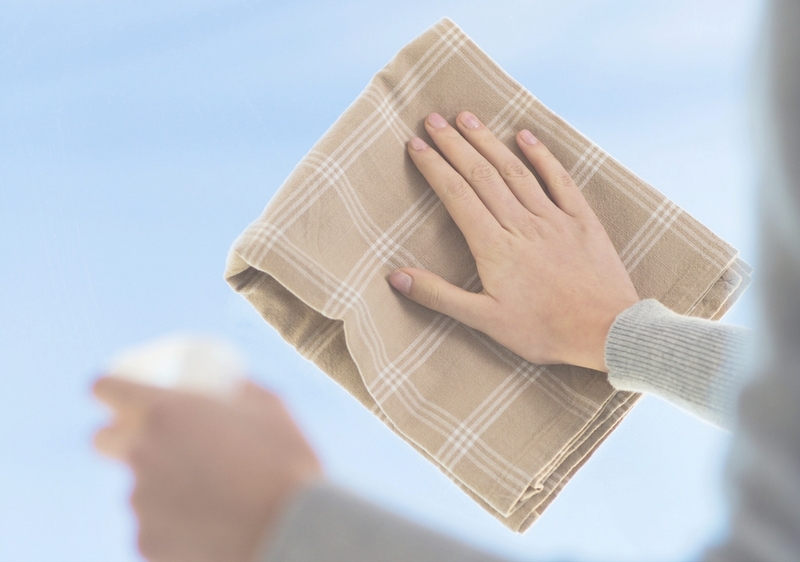 DIY cleaning solutions are an effective alternative to commercial cleaners. Some work better than others on different types of flooring. Excellent post. Save a LOT of money each and every year by using vending-machine Reverse-Osmosis water (RO water) and your own containers, instead of using pre-bottled distilled water. RO water contains VERY small amounts of minerals…comparable to bottled distilled water (e.g. 0 to 20 parts-per-million (ppm) minerals (aka Total Dissolved Solids or TDS), compared to the over 500ppm VERY hard water in some regions of the United States.) Pay attention to the “Last Serviced Date” that should be posted on the RO water vending machine’s display. The closer it is to that date, the lower the TDS number will be. For example, on the day of service the TDS should be close to zero (5 ppm or so). A few weeks later it MIGHT increase to 20 to 30 ppm TDS…which is still extremely low (note: 0-70ppm is labeled “Very Soft Water”, and over 420ppm is “Very Hard Water”). I save about $400 per year because every RO water vending machine in my area charges just $0.25 per gallon, whereas the bottled distilled water costs $1.25 per gallon (or higher). I also use RO water in my humidifier. I suggest using a TDS tester to verify the water, whether you buy distilled or RO water. A tester is very cheap ($10-$15) and easy to use (1 button, unless you buy a “multi-function” TDS tester). I use a TDS tester (about $15 on Amazon, eBay, newegg, and etc) to verify that the RO vending machine is providing low-TDS water. I consider a TDS tester absolutely essential these days. I regularly test my local water and ALL water I purchase to make sure it’s appropriate to use for a given purpose, in an appliance, and so on. Note: I bought 2 TDS testers from 2 different companies so I could compare the readings and verify they were providing reasonably accurate information…and I verify close-to-zero TDS readings with water KNOWN to be distilled. That is an AMAZING tip, John! Can’t believe I never thought of this. Thank you! 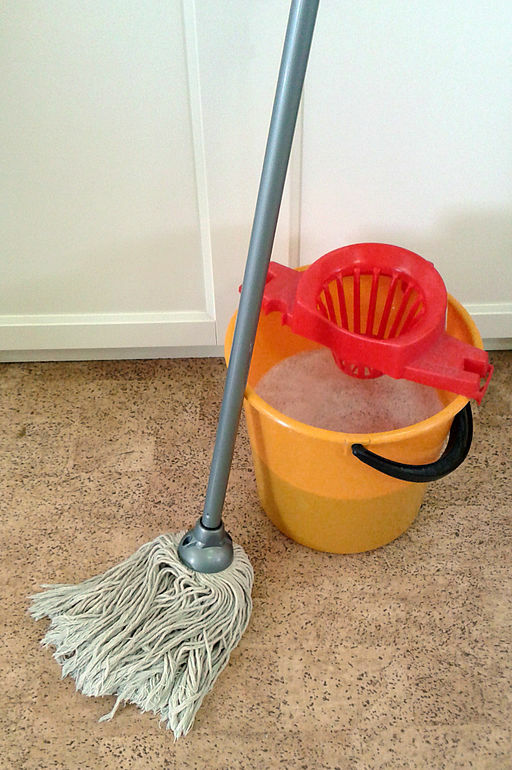 This homemade floor cleaner works wonderfully. Thank you a lot for sharing this. Glad it worked for you, Jazmine! Is this safe to use around crawling baby? Looking for a ph neutral cleaner for our new vinyl plank flooring. I’m thinking this will work, but wanted to see if anyone else has experience s cleaner for vinyl plank. I’ve never even heard of vinyl plank, so I’m no help here lol. But from what I’ve just read about it, looks like it’s waterproof, so I think you’re good to go. If there’s dirt stuck in the grooves, you might need to get down on hands and knees to scrub it out (had to do that on the laminate in our new rental when we moved – not fun!). Hope that helps! Has anyone tried it in a carpet cleaner? We have mostly carpet with dogs and I want something that I can use to deep clean the carpets. We use baking powder with a regular vacuum for normal cleaning. I do love essential oils and I use them not only in my cleaning detergents but to treat different ailments. I do prepare your recipe the way you have described and I have no issues at home. But those explanations were really helpful because If sometime something like that mentioned in the article happens I will know what to do. Thanks! I found this page while searching for baby-safe laminate floor cleaners. We recently had laminate floors installed and I wanted to clean them with something non-toxic. I was just going to use plain old vinegar and water. Is the rubbing alcohol and dish soap safe to use with a baby crawling everywhere? Won’t the dish soap leave a soapy film? Can you make this ahead and keep it in a container ? I am just starting out with using homemade natural cleaners and I appreciate this site for educating me in this new endeavor. 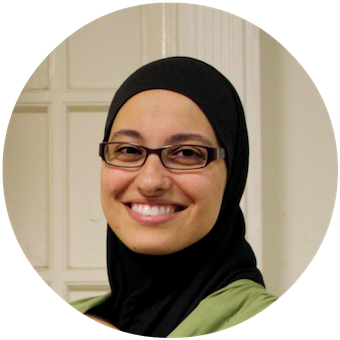 I recently had a horrible experience with a commercial disinfectant spray where I ended up with the flu despite its use and I started researching for natural, healthier, nontoxic alternatives. Thank you, I will keep reading! Also one question, is it OK to use the essential oil disinfectant spray on couches and pillows? I always heat my homemade cleaning solutions because they dry faster and clean better. 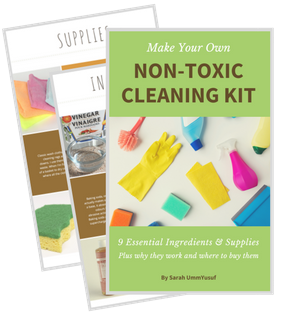 Overall awesome info, I really hope more people turn into homemade cleaners as they are enough toxins already surrounding us. That’s great, Olga! I still haven’t tried it, but it does make so much sense! What kind of alcohol is used in your floor cleaner? Just regular isopropyl alcohol from the drug store.